Most of us are accustomed to eating beef from cattle finished on grain. The finishing process builds up intramuscular fat and can result in tasty, fat-marbleized meat. 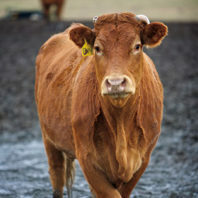 But many of Washington’s small and medium-scale cattle ranches finish their cattle on forage and pasture, resulting in a much leaner beef with lower levels of fat and cholesterol. And this leaner meat requires a different approach to cooking. 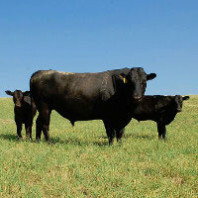 Here are a few tips from 3 Sisters Cattle Company and the American Grassfed Association to achieving the best results with pasture-fed beef. Penn Cove may be known for its mussels, but just across the Whidbey Island bay from Coupeville is another operation—the Muzzall family farm, known to local grass-fed beef fans as the Three Sisters Cattle Company. The farm was founded in 1910 by Ron Muzzall’s great-grandparents. For generations it was a dairy. When Ron ’86 returned from college, the farm had 50 cows. 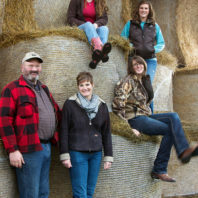 With his wife, Shelly, who grew up with family farming in Eastern Washington, he planned to follow in his parents’ footsteps.